We are a Neighborhood Bar located in Historic Midtown Omaha. Whether it's your first time here or you are a regular visitor, we are your neighborhood bar. Come for Karaoke, Happy Hour, or kick back and enjoy our casual environment with a neighborhood feel. With our great drink prices and daily specials, California Bar is your place to relax and have a great time. 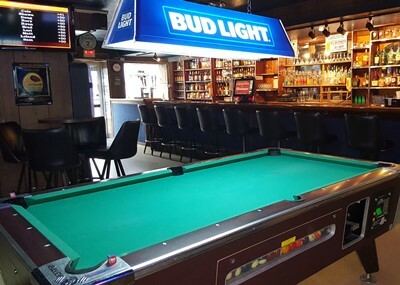 Pool, Darts, Games, and Karaoke too. Look at our great daily specials here, then come on down and join us! Whether it's your first time here or you are a regular visitor, we are your neighborhood bar. Come for Karaoke, Happy Hour, or kick back and enjoy our casual environment with a neighborhood feel. California Bar is one of the oldest bars in Omaha. Located on 33rd & California, just north of Midtown Crossing in historic midtown Omaha, Nebraska. Check-in and rate beer! Keep track of what you’ve tried and what you thought of it by checking in a beer and rating it.